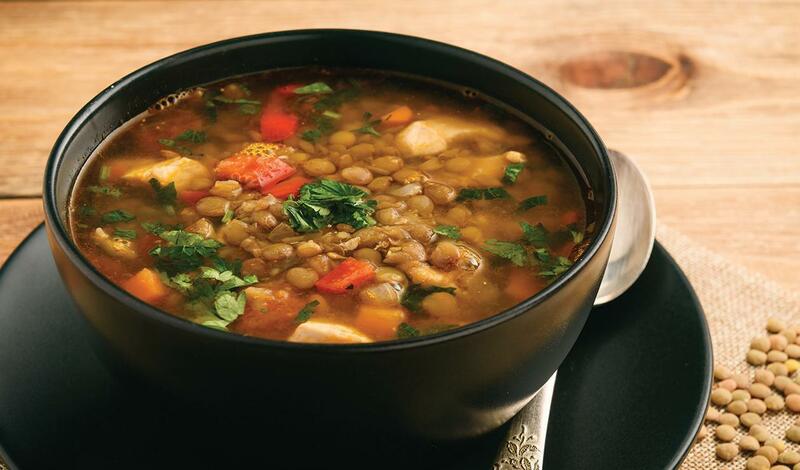 A warm, hearty soup with ground pork, lentils, kale and vegetables. Serve with crusty bread for a warm lunch. Add the kale, Knorr® Liquid Concentrated Base Chicken, vinegar, salt and pepper and bring to a boil. Remove the bay leaves. Season to taste with salt and pepper.